Houston Astros manager A.J. Hinch reportedly got into a physical altercation with some hecklers at a hotel bar after his team's Game 1 loss in the World Series. Cops were called to separate the two parties. No arrests were made and no reports were written for the incident. Houston Astros manager A.J. 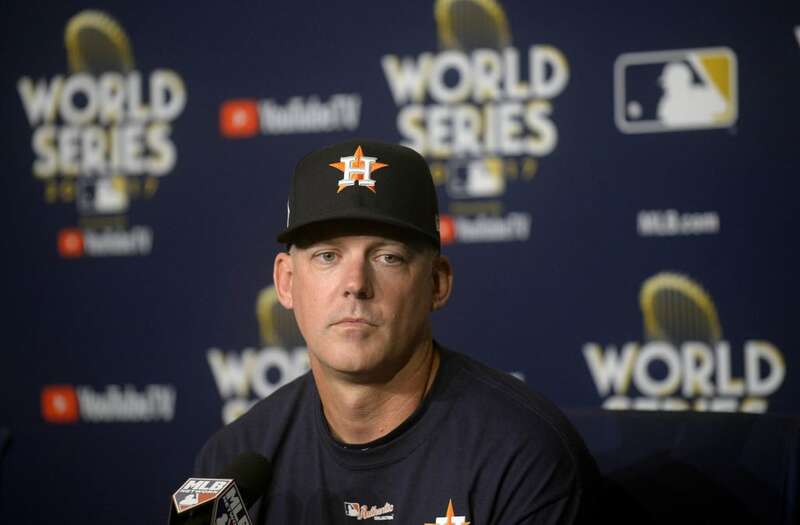 Hinch was involved in an altercation at the team's hotel bar in Pasadena, California, after Game 1 of the World Series, according to TMZ Sports. Hinch was reportedly having drinks at the hotel bar after the Astros' 3-1 Game 1 loss when some fans entered the bar and heckled Hinch. According to TMZ, Hinch "snapped" and began yelling and cursing at the hecklers, with one witness telling TMZ that the incident turned physical. Cops were reportedly called to separate the two parties. TMZ reports that there were no arrests or reports from the incident, as both parties walked away. The Astros tied the World Series at 1-1 on Wednesday and go back to Houston for Game 3 on Friday. The Astros declined to comment to Business Insider.